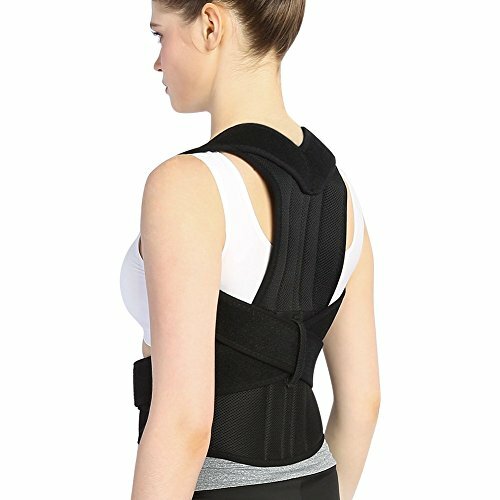 DOACT Posture Corrector Brace provides the most comfortable back straight and waist support, prevents and corrects bad posture. You can wear the posture brace at home or office and anywhere you like. Insist on using it for a long term and you'll find your posture is getting better. Note: please measure your waistline with a tape and check our size chart before your purchase. Please go a size smaller if your waist size is between the two sizes bound. Hand wash in cold water with soap, then air dry, a brush may be needed, not for machine washing. Wear it over a shirt or close-fitting sweater, don't wear this back brace under your clothing. DOACT GUARANTEE: Put your worries aside! If you need a replacement or return, just contact us from your order directly. Go ahead! You deserve it! If you have any questions about this product by DOACT, contact us by completing and submitting the form below. If you are looking for a specif part number, please include it with your message. North AmericanTM Magnetic Posture Corrector, Regular, Adjustable 28" to 38"